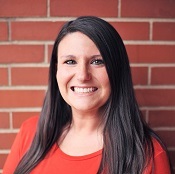 Mrs. Jennifer Hutton joined Youngstown Academy of Excellence in 2016 with over fourteen years of experience as a teacher, educational specialist, assistant principal, and principal in both Youngstown and Columbus. As principal of Youngstown Academy, Mrs. Hutton is responsible for leading our school academically and culturally, including the professional development and progress of our faculty. Prior to joining YAE, Mrs. Hutton earned a Bachelor’s degree in elementary education, a Master’s degree in English, and a Master’s degree in Educational Administration from Youngstown State University. Miss. Heather Knapp joined Youngstown Academy of Excellence in 2011. She started teaching first grade and was moved to third grade the following year. She taught in third grade for two years before she accepted the Director of Academics position. Miss. Knapp holds a Bachelor’s degree in elementary education, a master’s degree in Educational Administration, and a master’s degree in Curriculum and Instruction.